Khaled Hosseini. 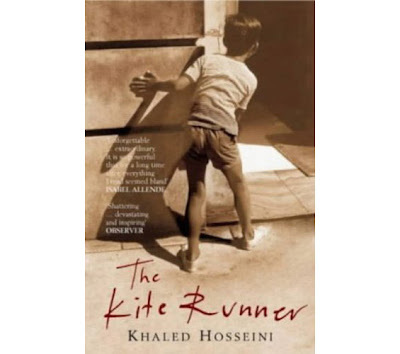 THE KITE RUNNER. Riverhead Books, New York/ Bloomsbury, London 2003. Kabol (Afghanistan)--Fiction. 2. Male Friendship --Fiction. 3. Social Classes --Fiction. 4. Afghanistan --Fiction. 5. Betrayal --Fiction. 6. Boys --Fiction. The book is said to have sold way over 500,000 copies without benefit of TV ads, Oprah or other celebrity endorsements. Its success was due to word-of-mouth recommendations of librarians and independent book sellers and especially the strength of local book clubs and community reading programs -where one book is chosen by a city or region. The ordinary reading public bought and read the book and passed on the good news. Gradually the book became a best seller, justifying the $500,000 advance. Khaled Hosseini, whose story is not far removed from the book, came from Afghanistan with his formerly wealthy parents at age 15. They ended up on welfare in Fremont, California--an area close by Silicon Valley known as 'Little Kabul'. Khaled became an M.D. (family doctor) but also began to write, rising at 5 a.m. working at short stories and, later, his novel, before going to work. A half-dozen stories, mainly thrillers or gothic horror tales, were published online or in experimental zines. But submissions to The New Yorker, Harper's, Esquire and other mainstream publications were soundly rejected. After the success of 'Kite Runner' at 40 he became a fulltime writer, enjoying the American Dream - he has met the President and has seen the book made into a highly rated movie. I hope you don't mind me contacting you. 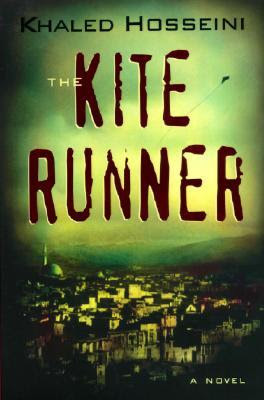 I have a UK uncorrected proof of 'The Kite Runner' and I was wondering if you have any idea how much it might be worth? I have trawled the internet for copies but haven't been able to find any. I came across your blog and thought you might have an idea. Super powerful and moving. I was very hesitant to read this book because it doesn't sound like something that I would normally like. I am the murder mystery type. Boy was I wrong!! This book is a must read for everyone. It's not just about Afghanistan although it does make the reader understand how life in Afghanistan was and how different it is now that the Taliban have taken over. But this book is also about brotherhood and friendships and life. You will laugh and cry when you read this book.